Documenting a person or company’s history can be a daunting task, but producer and drone pilot fotoknoff does an excellent job when he is tasked to do just that with Havila Kystruten. The cruise ship company hopes to take travelers around Norway by 2021 in the most environmentally friendly way possible. 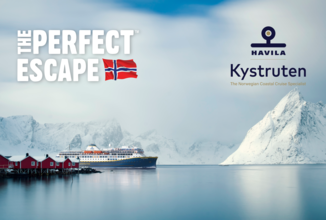 Our producer will show us the founder’s history then show us stunning aerial footage of Norway, giving everyone a reason to check out Havila Kystruten.